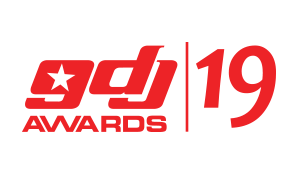 The various stages of the Ghana DJ Awards process begin with DJs, Music artistes, industry people and fans submitting entries, which are then screened for eligibility and category placement. The Nomination Jury, all involved in the creative and technical processes of recording, production and Disc Jockeying, then participate in (1) the nominating process that determines the four or six finalists in each category; and (2) A percentage of the final voting process goes to the Voting Academy and the general public which determines the Ghana DJ Awards recipients (winners) after an audit by a professional firm. The same submission cannot be sent for more than one category in the Industry section. Submitted Mixtapes must include full artwork and tracklisting. Artiste DJ submissions are eligible to only one group of Artistes or Entertainment company. “Tribute” (aka “Best of”) mixtapes are NOT eligible for Mixtape of the Year. Mixtape: Kindly fill the Entry form. Fill form and attach the artwork and link to mixtape or audio file which features tracklist (for mixtape category). Scratch DJ (Turntablist): Kindly fill the Entry form and attach a 2 minute video clip of your scratch performance. Professional Photographs of Disc Jockey. A mixtape for consideration for nomination (Specify Music Genre(s). Attach to your submission online or enclose in Envelope addressed to Ghana DJ Awards Nomination, P O Box 2863, Kaneshie, Accra – Ghana or send electronic mail to ghanadjawards@gmail.com with links to mixtape or performance(s).